Well versed in the benefits of nature’s pharmacy, Master Herbalist Andrea Candee brings over 30 years experience in the natural health world to her seminars on medicinal herbs. A motivational speaker, her workshops have been enthusiastically received throughout the country by those new to healing plants as well as experienced practitioners. Andrea has brought her lectures on herbal self-help to educational facilities, corporations, health food stores, spas, focus groups, garden clubs, international conferences and cruise ships. As Instructor for The New York Botanical Garden, she participates in international symposiums on healing plants and presents workshops on botanical medicine. Andrea consults with physicians and healthcare practitioners, designing protocols of botanical medicine for their patient population. She has presented programs of natural remedies to staff of hospitals and wellness centers. Andrea’s practice in South Salem, NY includes individualized health consultations as well as Face Rejuvenation treatments ~ relaxing herbal/aromatherapy facials. 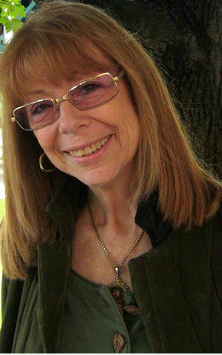 Andrea also works with The Liphe Balance Center in Weston, CT, coaching alkaline wellness programs and Liquid Feasts.